Decorating Easter eggs is a strong tradition in our family, and more generally, in Lithuanian culture. One person who perfected this art form of art is my sister, Ramute Plioplys. She was born in 1953 in Toronto, Canada. At the age of three, she contracted polio during the last major polio epidemic—just before the Salk vaccine became available. This illness left her legs paralyzed. She moved with her family to Chicago in 1964. After graduating from the University of Chicago, she lived for two years in Lithuania, under communist rule, where she studied Lithuanian linguistics at the University of Vilnius and pursued her interests in traditional folk art and customs. She frequently visited national museums to study examples of ancient Lithuania folk art. To improve her skills, she sought out living folk artists, in remote villages of Lithuania. She not only learned these styles of artistic expression, but she advanced and perfected them. Polio never stopped Ramute’s life journey and her active passion for art. She showed her art works at several personal exhibits at the Balzekas Museum of Lithuanian Culture, in addition of numerous art fairs in the Chicago area. 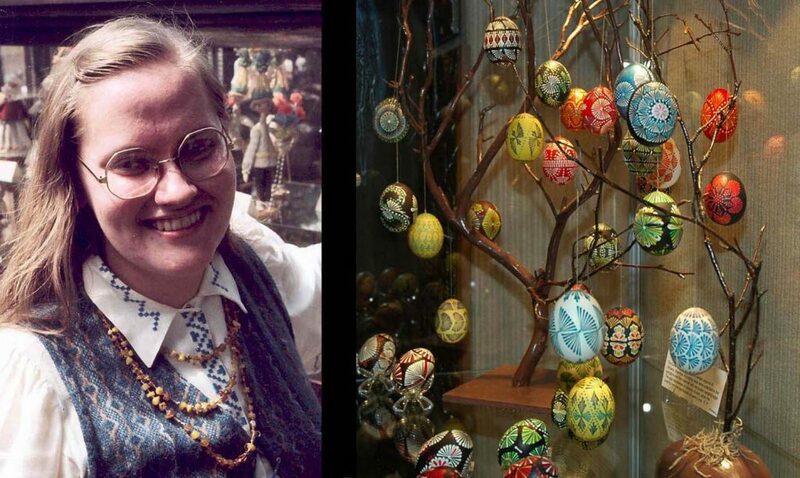 A permanent display of her decorated eggs can be seen at the Balzekas Museum, 6500 S. Pulaski, Chicago. Examples of her art can also be viewed at the University of Minnesota, the Toronto Public Library, and the Portsmouth Museum in England. Besides her art work, she also had a passion for the Lithuanian language. For many years she taught Lithuanian language at the Lithuanian Pedagogical Institute, in Chicago. The results of her original research in Lithuanian linguistics were published in 1982 in the scholarly journal, Musu Kalba (Our Language). This seminal work was reprinted in 2009 in the book Siaures Amerikos Lietuviu Kalba (North American Lithuanian Language). She translated several Lithuanian text books into English and in 1990 authored her own book to self-learn the Lithuanian language. Due to the political changes that were taking place in Lithuania at that time, this book was never published. In 2003 she published her book Lietuviu Kalbos Istorija (History of the Lithuanian Language) in Chicago. In 2007 she unexpectedly passed away from a heart condition. Examples of her artistic accomplishments and copies of her publications, and articles that were written about her, can be viewed by visiting her newly revised website by clicking here: Ramute-Plioplys.com. This beautiful website was designed by Eugenijus Krukovskis. Please, do visit Ramute’s website and view her artistic accomplishments. 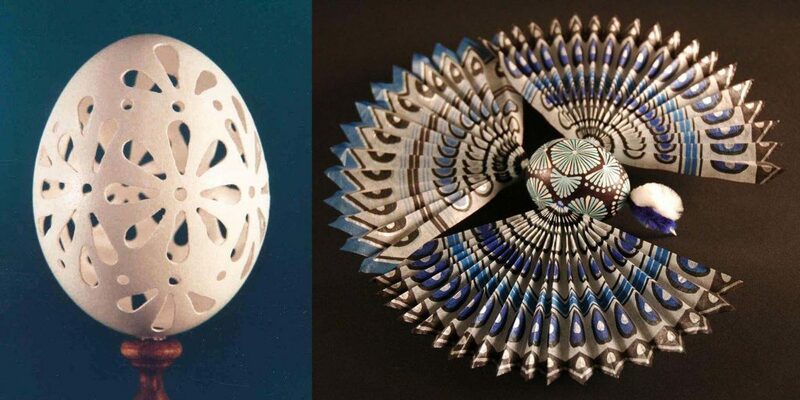 Her drilled eggs are stunning in their beauty, not to speak of the incredible amount of painstaking work that went into making them. Her etched eggs are extremely subtle, and the hanging birds are highly original.